A candidate is sought for a position for the role of Postdoctoral Research Fellow on a project studying chaotic dynamical systems on 3-dimensional manifolds. 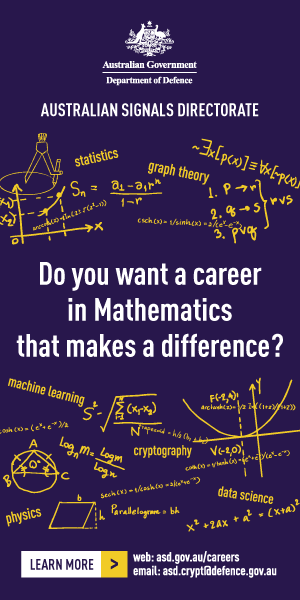 Candidates with expertise in any of the fields of dynamical systems, ergodic theory, foliation theory, and the geometry and topology of 3-D manifolds are strongly encouraged to apply.The Postdoctoral Fellow will conduct research at the School of Mathematical Science, Monash University, under the guidance of Dr Andy Hammerlindl. This research will focus on topics related to an ARC Discovery Project on geometric advances in partially hyperbolic dynamics. This project is in collaboration with Georg Gottwald (University of Sydney), Christian Bonatti (Université de Bourgogne), and Rafael Potrie (Universidad de la República – Uruguay). There will also be opportunities for the Postdoctoral Fellow to collaborate with others in the School of Mathematics at Monash and pursue their own independent research programme. Applicants must have a PhD in a relevant discipline, proven ability to perform collaborative research, and the potential to publish in high quality journals. This role is a two year full-time position, with the possibility of further extension. Flexible working arrangements may be negotiated.